A fantastic family outing from Caetano Veloso – one that has the legendary Brazilian singer working with his sons Tom, Zeca, and Moreno Veloso! 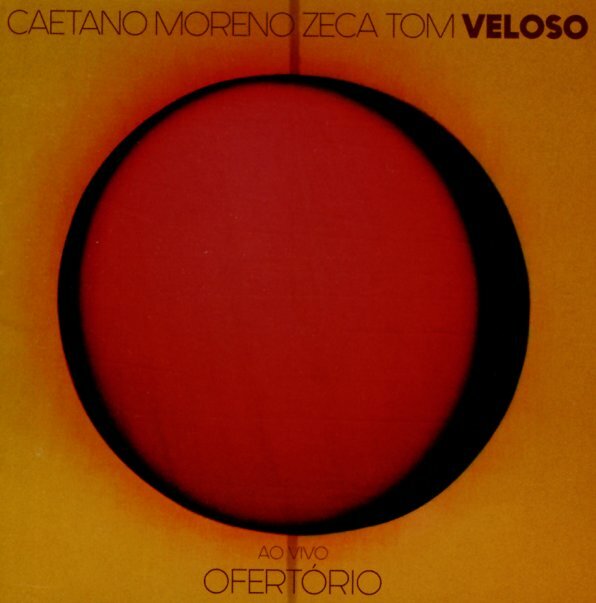 Moreno's probably the one who's best known to American audiences – thanks to his fantastic legacy of sounds with Domenico and Kassin in the +2 trio – but the approach here is quite different than those records, and maybe has the warm intimacy of Caetano in some of his best stripped-down modes! All members of the family play guitar and sing, and all had a hand in directing the music – but the lineup also shifts a bit from track to track – sometimes with vocals from all four, sometimes just Caetano in duet with one of the sons, sometimes just Caetano himself. If you love Veloso when he sings with just acoustic guitar and a bit of light backing, you'll find plenty to love here – on titles that include "Oracao Ao Tempo", "Boas Vindas", "Todo Homem", "O Seu Amor", "Genipapo Absoluto", "Reconvexo", "Um Canto De Afoxe Para O Bloco Do Ile", "Forca Estranha", and "Um Passo A Frente". © 1996-2019, Dusty Groove, Inc.